A faulty boiler could spell some serious trouble for homeowners here in Colorado. Winter is certainly not the time to jeopardize your indoor comfort, so it is important to invest in the services necessary to keep you warm and cozy all season long. Replacing your outdated boiler is one way to ensure your comfort without sacrificing your budget. Sure, purchasing a new boiler can seem a little pricy up front, however, the long term savings are definitely worth your while. Of course, only a trained HVAC professional can help you decide whether or not now is the right time to replace your boiler. But in the meantime, we have provided a list of signs that suggest it might be time for a replacement. Keep reading below to learn more. Boilers have been trusted for decades for being one of the most durable and effective home-heating systems. Although built to last, the average lifespan of a boiler is anywhere between 15 and 20 years. If your boiler is within or has exceeded this life expectancy, we recommend upgrading to a newer model. A new boiler is going to be much more efficient and effective than an older, outdated one. Over time, wear and tear due to everyday stress is going to take its toll on your boiler system. This kind of stress forces your boiler to work harder to warm your home, thus increasing the risk of repair needs. 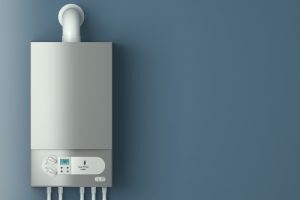 Yes, most boilers will need repairs from time to time, but if you have found yourself in the position of calling for repairs more than a couple of times per year, it suggests that your boiler is simply worn out and it’s time for a replacement. The primary role of your boiler is to provide heat for your home. So, if you’ve noticed a lack of heat, it might mean that your boiler is no longer able to keep up with your household heating demands. One of the best ways to tell if your HVAC systems have become inefficient is to keep a close eye on your monthly utility bill. If you’ve noticed a steady increase in the amount you are paying each month, it indicates that your boiler has become inefficient. Stress on your system forces it to work harder, leading to large quantities of energy waste, which you will ultimately pay for. If you feel that it might be time to replace your boiler, you should first consult with professional. A qualified HVAC technician can thoroughly inspect your system to assess its condition to help you make the right choice for your home. In some cases, it might just be that you need heating repair in Colorado Springs, however, this does not hold true for every situation. Should you decide to replace your boiler, a professional must properly size and install your new system. To schedule your boiler services, contact Robbins Heating & Air Conditioning today.